There’s no worse feeling than going outside to take a dip in your pool only to find the liner looking green. Here at Rogers Pool & Patio, we understand the importance of proper pool maintenance. When it comes to pool cleaners, our brand of preference is Dolphin. Having been in business since 1983, Dolphin carries a wide variety of pool cleaners for both above ground and inground pools. 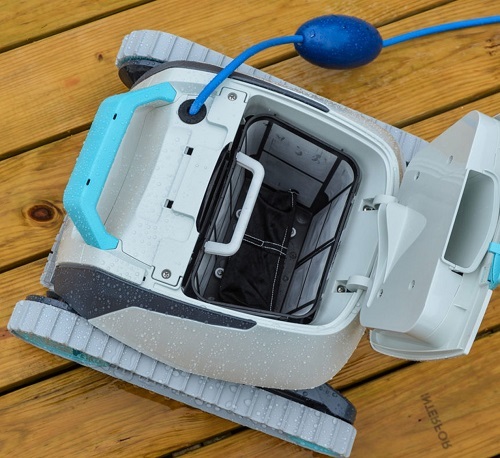 Dolphin brand above ground pool cleaners are lightweight and easy to handle. Their inground pool cleaners come with multi-function power supplies and triple-action brushing to make your pool maintenance easy as can be.